This pharmacy is approved to supply subsidised medicines under the Pharmaceutical Benefits Scheme (PBS) in accordance with Section 90 of the National Health Act 1953. 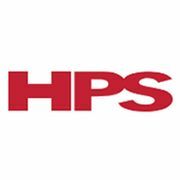 Rate and review HPS Pharmacies - East Melbourne in Melbourne East, Victoria, Australia! Share your experiences at HPS Pharmacies - East Melbourne with your friends or discover more Pharmacies in Melbourne East, Victoria, Australia.